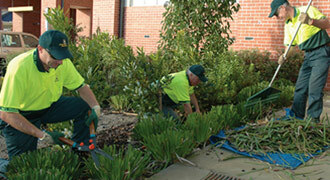 Need a Gardener in the Coonawarra Naval Base area? Jim's Gardeners Coonawarra Naval Base are gardening professionals and are here to help - if our schedule permits, we can even offer same day gardening services. Contact your local Jim's Gardeners Coonawarra Naval Base on 1300 191 565 or you can Book a Gardener online for a time that suits to have garden expertly cared for, or simply schedule a free, no obligation quote with your local Coonawarra Naval Base Jim. Remember, we our expert gardeners in Coonawarra Naval Base can provide entire lawn mowing, maintenance, weeding & edging, garden rubbish removal, gutter cleaning,tree trimming, shrub and hedge pruning through to landscaping and irrigation systems. So please call Jim's Gardeners Coonawarra Naval Base on 1300 191 565 now or Book a Jim's Gardener online, today. If the garden is becoming a bit of chore, especially in this weather, let your local Jim's Coonawarra Naval Base Gardener take care of the garden, while you spent your time however you please.... perhaps at the local Golf Course? Cafe? Shops.....?